The Town of Aubusson has a lot of really beautiful scenery. Many of the tapestries woven during the rise were based on the landscape of the town. 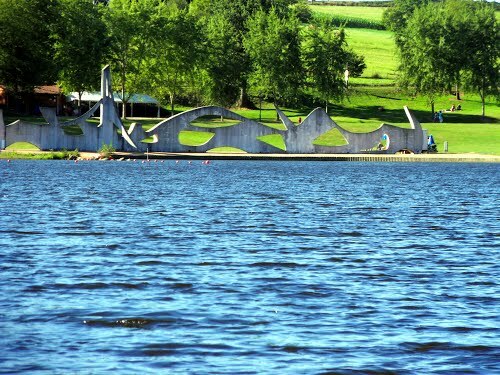 This is a view of a local Pier from the Creuse River. 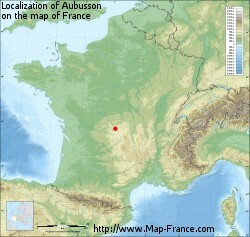 Aubusson is located in Central Europe. Europe has been a seat of combat and issues throughout most of civilization and Aubusson is located right in the middle of this. The city remained a stable working environment because of its neutral political ties however. As can be seen from the Timeline, Aubusson has had a varied history. Initially it was a land owned by barbarians, then it became a staging point for military battles, and finally it was transformed into an artists den and a historical landmark. The City is connected to the Creuse river and this was why it was initially settled. The city has easy access to supplies like wool and furs which it imported along the river from nearby cities and far away lands. The River made a journey from England with wool a bearable trip which had a lot of merchants making the run. The Weaving industry really took off in 1300's when the middle class was growing and able to afford nicer clothing. Then in the late 1500's the arrival of skilled refugees allowed them to create more artisan projects. Tapestries produced in the 1600's adorn buildings internationally. The styles are recreated constantly and the works are highly praised. Aubusson experienced its peak native population in 1911 with a population of 7023 residents. However, during some of the artisan booms that occurred in the 1600's it is believed the population may have boomed as high as 20'000 with merchants, nobles, and artisans alike.